Have you ever felt the soft comfort of a horse’s nose? Or been the lucky recipient of a horse’s gentle gaze? 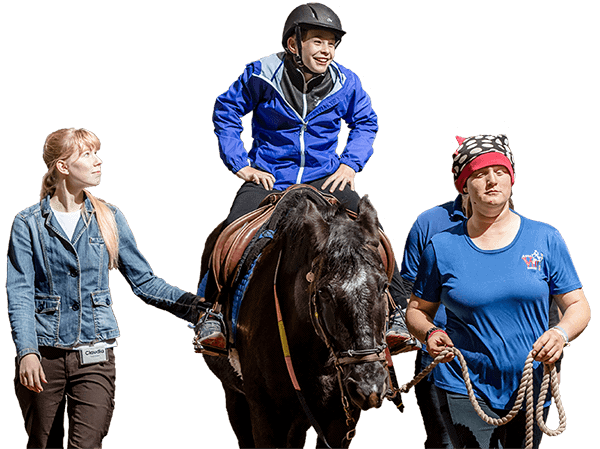 Our clients experience these joys and more each time they participate in the various equine-assisted activities and therapies provided at CKRH. One frequently asked question is which breed of horse makes the best therapy horse. The answer is that it’s not the breed so much as the heart of the horse. The horse herd at CKRH can represent up to 15 different breeds. 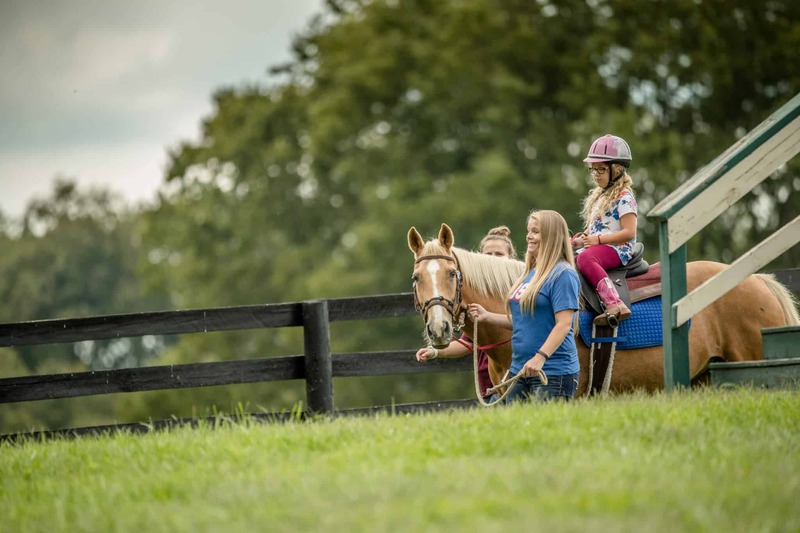 From the short, squat Fjords used in Therapeutic Riding to the tall, graceful Thoroughbreds used in unmounted mental health activities, each of our equine therapists takes their job seriously and understands the importance of caring for their clients. CKRH is proud to receive assistance from the Thoroughbred Aftercare Alliance and the Thoroughbred Charities of America for the care of our Off The Track Thoroughbreds. After their racing careers, these Thoroughbreds still have a will to work and a desire to feel needed. 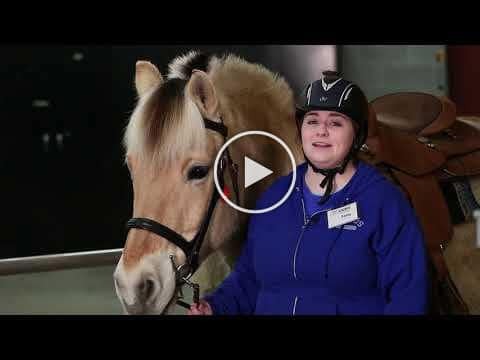 A second career as a therapy horse provides the stimulation they need as they develop relationships with their clients. In many ways, Equine Assisted Therapeutic Activities benefit the Thoroughbreds just as much as the people they help. Meet Tavia! When she's not helping everyone at CKRH as a volunteer, she enjoys riding Aksel as one of our client's benefiting from Therapeutic Riding.